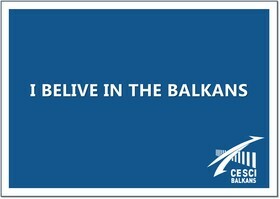 The central idea of this interfaith project is to cross boundaries and build bridges between people in the Balkan Peninsula (Albania, Bosnia-Herzegovina, Bulgaria, Croatia, Greece, Kosovo, Montenegro, Republic of Macedonia, Romania, Serbia, Slovenia and Turkey) by addressing together concrete matters related to everyday religiosity. This goal is reached through valuing of all participants of the project and sharing and exploring their cultural legacies in a positive atmosphere. The aim of the project is to promote regional cross-border cooperation and dialogue between different religious groups in the Balkan Peninsula with the means of gathering people with different religious, national and ethnic backgrounds together around topics that concern them all in their everyday lives. The project will result in policy recommendations that address the cultural and religious coexistence in the region and awareness raising of a large scale through workshops, activities and media coverage.